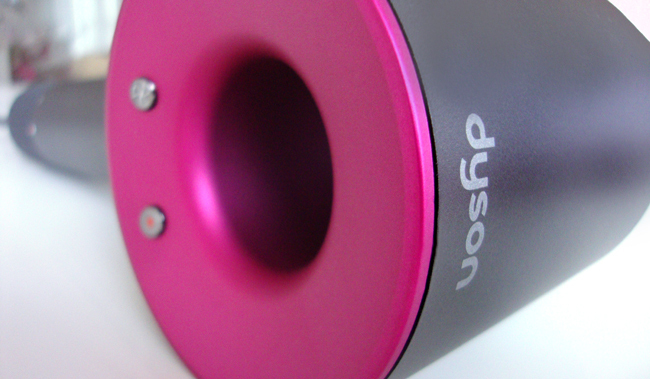 Dyson Supersonic: Is this the Holy Grail among Hairdryers? There is no way around the new hairdryer from Dyson; it's in all magazines and newspapers and last Christmas there was no gift without it. The Dyson Supersonic is stylish, unlike any other hairdryer and like all products from Dyson, it doesn't come cheap. While all sounds exciting (besides the hefty price tag) let's ask the most important question for us beauty geeks: Is it worth the hype or just a blast of hot air? I tested this innovative hairdryer for you and tell you what I honestly think about it. Let's start with a few facts: The Supersonic is the result of extensive research and tests with over 600 prototypes and 1000 miles of human hair. Dyson caused a worldwide shortage of hair on the market during their research. They built a new dedicated beauty testing lab, hired engineers and looked for the advice of world's best stylists to rethink the way a hairdryer is made. The motor of the Dyson supersonic is placed in the handle, while traditional hairdryers have it always in the head of the device. You have the choice between three speed settings. There is as well a built-in microprocessor that measures and regulates the air temperature 30 times every second to prevent your hair from heat damage. The Supersonic comes with three magnetic attachments: A styling concentrator, a smoothing nozzle and a diffuser for curly hair. Unpacking it gives me that awestruck Apple-feeling: Every millimeter of the packaging is suggesting that I hold a premium quality futuristic piece of technology in my hand. From the first second, I want to love it very badly. Gosh, this design! 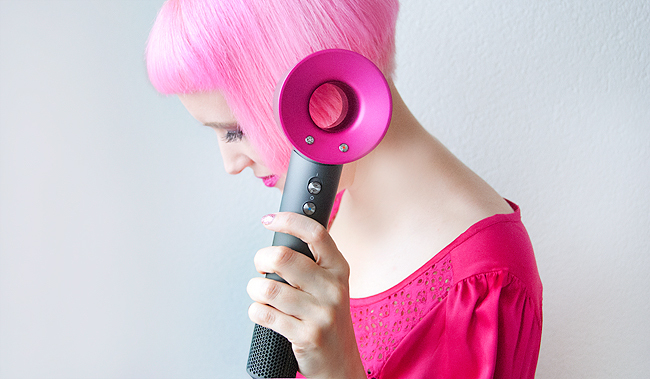 It looks unlike any other hairdryer, but a little bit like a mini-version of Dyson's bladeless fans. First try: Is this the solution for more sleep and no more feeling like lifting weights while drying my hair? Switching it on for the first time I am hit by a blast: It's incredibly powerful. You might expect a device like this to be loud and roar like a lion, but its sound is surprisingly quiet, and lays extremely well in my hand. 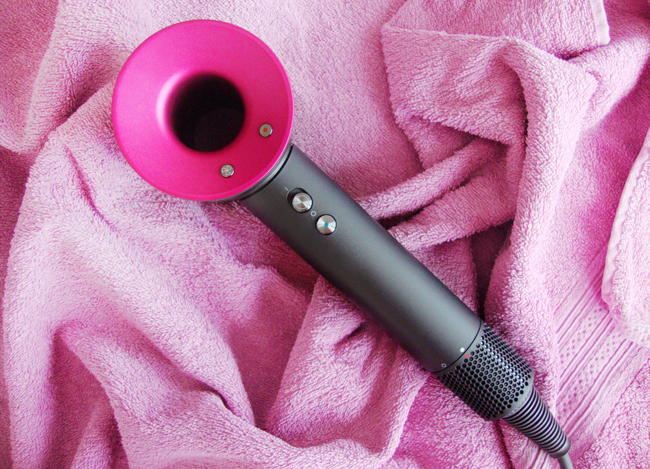 While some other hairdryers make me feel like I am lifting weights while using them, this one is quite light. My hair is happy too; it is dry very fast and feels smooth and glossy. 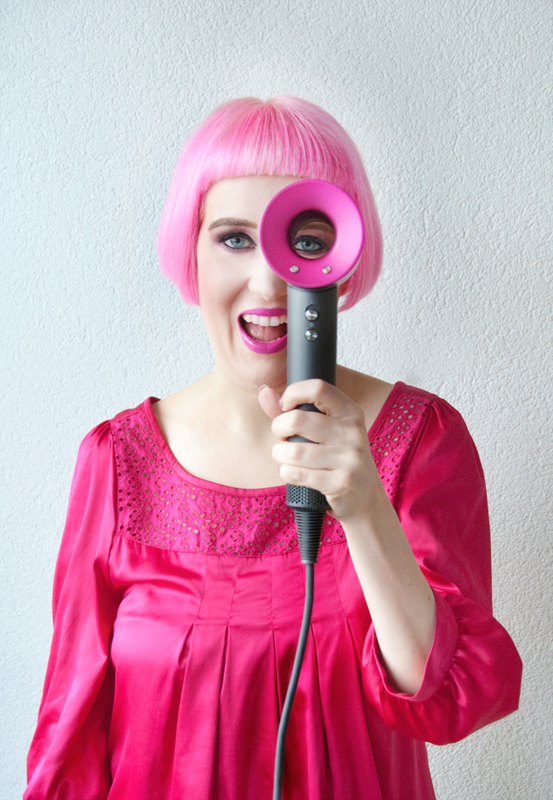 I have a few difficulties to style my hair because I am used to a traditional hairdryer, but I am very motivated to adapt to the Dyson and believe this device might change my hair game. I feel the strong urge to tell everybody I encounter about this hair dryer, and they react in a puzzled way. No wonder: I don't think it ever happened that a hairdryer was stirring so much excitement in the beauty industry. Two weeks later: Is it weird to invite people to my flat so they might see my fancy new gadget in the bathroom? During the first days, I switched back using my other hairdryer sometimes, because styling was still a bit of an issue. But after a few days, I got to know how to handle my Dyson, and every other hair dryer starts to feel clumsy. My boyfriend was even ahead of me: At his first encounter with the Dyson, he decided that our other hairdryer is less efficient and therefore no option anymore. Two months later:How could people ever believe the earth is flat or was there a life before the Dyson Supersonic? A traditional hairdryer, me? Never if I can have the Prada among hairdryers! My old hairdryer is collecting dust in the drawer and feels like a relic from the middle age, while the Dyson Supersonic is my new best friend. It's certainly an expensive gadget, but think twice: A hairdryer is something you use every day and doesn't that justify to invest in a quality product? My advice: Get the Supersonic, it's worth every cent! It really looks amazing, I'd love to have one just for how it's supposed to protect the hair more than anything as I'm always paranoid of heat damage but I don't style my hair so don't know if I could justify it. Good to know they're really worth the hype though!